These heavy pattern heart shaped rope thimbles are available in both stainless steel and bright zinc plated steel. You may also wish to review our selection of Light Pattern Rope Thimbles in stainless steel. Available in a wide range of sizes, OPAS steel thimbles can be supplied from stock in a variety of sizes in stainless and bright zinc plated steel in standard pack sizes of 100 or 1000 units - other quantities on request. Please note that OPAS operates a wholesale minimum order requirement of £25 goods value plus carriage and packing and VAT. Heart shaped heavy pattern stainless steel thimble with overall length of 20mm to secure 3mm diameter rope/wire. Heart shaped heavy pattern stainless steel thimble with overall length of 25mm to secure 4mm diameter rope/wire. Heart shaped heavy pattern stainless steel thimble with overall length of 27mm to secure 5mm diameter rope/wire. Heart shaped heavy pattern stainless steel thimble with overall length of 30mm to secure 6mm diameter rope/wire. Heart shaped heavy pattern bright zinc plated steel thimble with overall length of 45mm to secure 6mm diameter rope/wire. Heart shaped heavy pattern stainless steel thimble with overall length of 37mm to secure 7mm diameter rope/wire. Heart shaped heavy pattern bright zinc plated steel thimble with overall length of 50mm to secure 8mm diameter rope/wire. Heart shaped heavy pattern stainless steel thimble with overall length of 48mm to secure 9mm diameter rope/wire. Heart shaped heavy pattern bright zinc plated steel thimble with overall length of 58mm to secure 10mm diameter rope/wire. 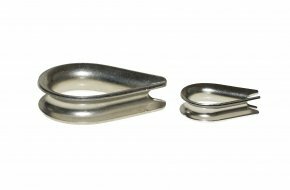 Heart shaped heavy pattern stainless steel thimble with overall length of 70mm to secure 10mm diameter rope/wire. Heart shaped heavy pattern stainless steel thimble with overall length of 56mm to secure 11mm diameter rope/wire. Heart shaped heavy pattern bright zinc plated steel thimble with overall length of 75mm to secure 12mm diameter rope/wire. Heart shaped heavy pattern stainless steel thimble with overall length of 80mm to secure 12mm diameter rope/wire. Heart shaped heavy pattern bright zinc plated steel thimble with overall length of 83mm to secure 14mm diameter rope/wire. Heart shaped heavy pattern bright zinc plated steel thimble with overall length of 91mm to secure 16-18mm diameter rope/wire. Heart shaped heavy pattern bright zinc plated steel thimble with overall length of 112mm to secure 22mm diameter rope/wire. Heart shaped heavy pattern bright zinc plated steel thimble with overall length of 125mm to secure 24mm diameter rope/wire. 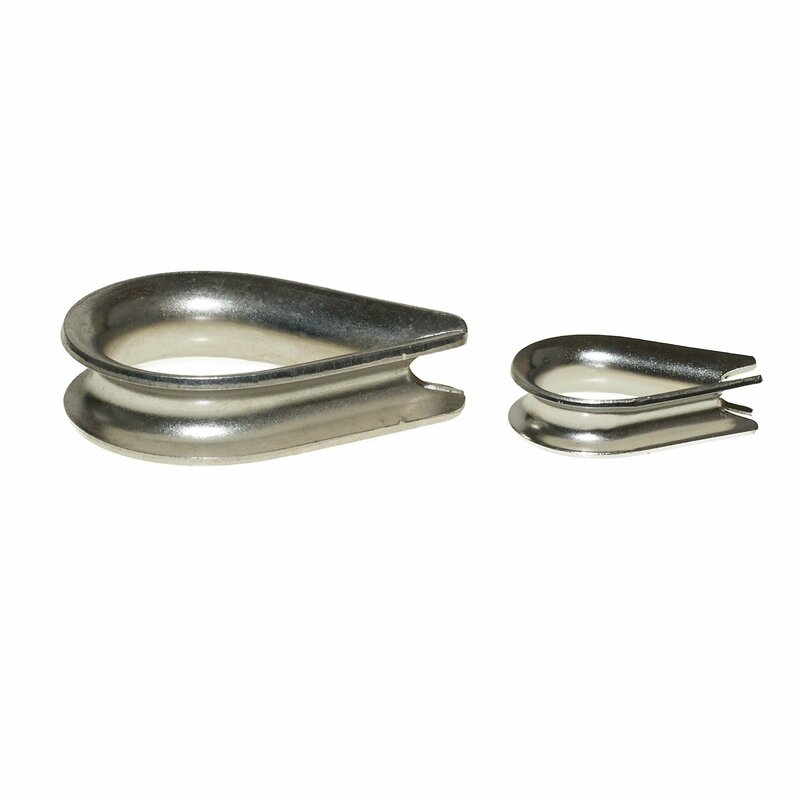 Heart shaped heavy pattern bright zinc plated steel thimble with overall length of 135mm to secure 26mm diameter rope/wire. Heart shaped heavy pattern bright zinc plated steel thimble with overall length of 138mm to secure 27mm diameter rope/wire.